Snowball is a modern take on the classic Bauhaus lamp, revealing how the Futurist and Cubist styles of the Interwar period continue to appear contemporary today. Suitable for energy saving bulbs? The lamp’s polished steel stem is anchored to a streamlined base comprised of rectangular shapes, rising upwards to hold a lampshade made from frosted glass at the top. The lampshade rests in a disc-shaped plinth, balancing the strict angles of the base with a perfect, round globe that emanates soft light. Made in two versions, Snowball is available as a table lamp or floor lamp. The lamp’s streamlined, minimalistic design complements a wide variety of interiors, with its strong geometric shapes adding a distinctively masculine element. A pair of Snowball table lamps can create a sense of balance, or unify a part of the interior as they ‘book end’ the space between them. 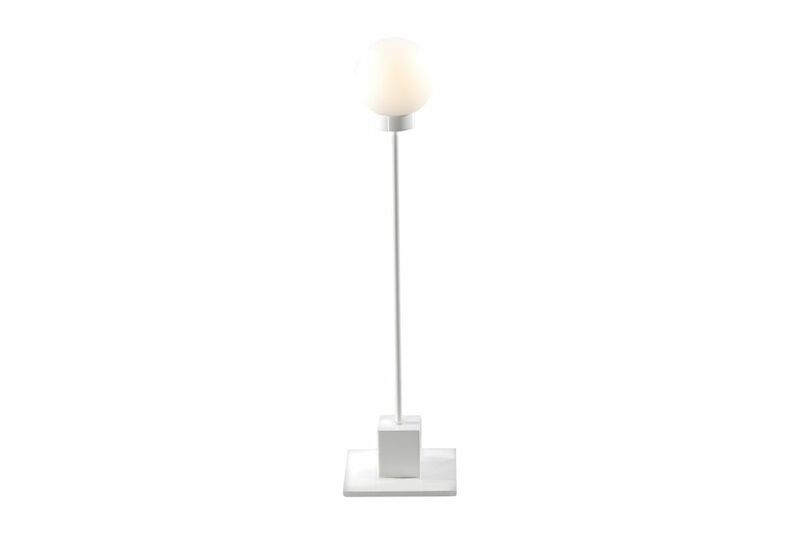 The floor lamp adds elegance and a sense of scale, while providing a practical light source. Snowball’s sleek design is timeless and sophisticated, and seems likely to continue to appeal for decades to come. Trond Svendgård is a highly awarded gourmet chef, born in Rognan, Norway. “As a chef you have to think about curves, forms, details, colours, tastes, consistences and contrasts in each creation. To use this “forced” creativity and artificial finesse in other areas than cooking, is a great satisfaction to me. As we chefs often use to say: “keep it simple”, the simple is often the best. The Snowball lamp is a result of this. Be my guest!